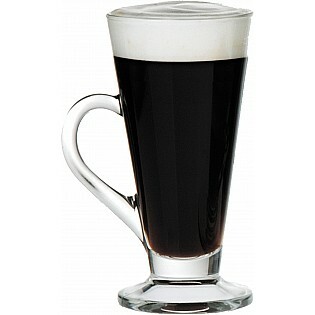 Pricing is for 230ml Kenya Irish coffee glass. 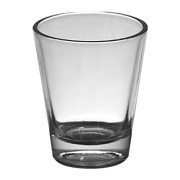 Many drinks containing alcoholic spirits are served directly out of the shot glass; if this is how your spirits are consumed you should be considering the Kenya Irish 230ml speciality glass as a promotional speciality glass for your hospitality clients. This interestingly styled glass will catch the eye of many of your client’s customers, and they will want to know which brand the glassware is associated with. The Kenya Irish 230ml has ample room for your logo print and will be well received across all hospitality settings. Because the Kenya Irish 230ml glasses can be used as serving glasses on their own, it makes perfect sense to use them as promotional glassware when launching a new drink or when offering free samples to customers. These glasses can also be used as wedding glasses for various drinks, or you may even like to have them printed with your names and wedding date and use as centrepieces or small wedding gifts presented in a bag or box with your favourite liqueur or spirit. The Kenya Irish 230ml speciality glasses will make a lovely addition to your promotional glassware items.